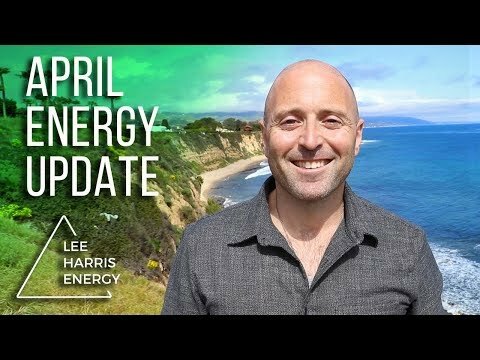 This is a transcript of Lee's spoken March Energy Update video. 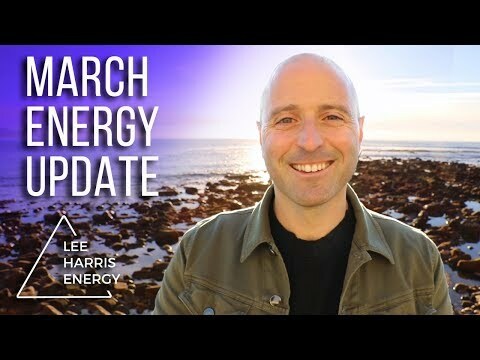 In many ways, the energy of March 2019 is like the sunrise for the year of 2019 in that it’s going to bring a lot of light, a lot of illumination and some heat. And the three big themes that will be moving through us for March are MOMENTUM, CLARITY and RELEASE. March is going to be the first big surge of speed and energy that we have seen in 2019. For those of you who have been planning things, building things - putting the pieces together, bringing the form into place - this is going to be a month where you really start to see things heat up, light up and brighten up. 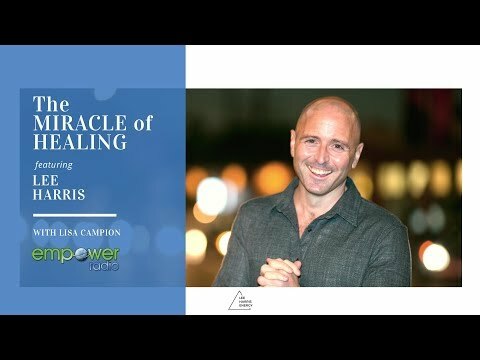 There will be a lot of magic, a lot of flow and a lot of FORWARD MOMENTUM around plans that you have been birthing or a kickstart to plans you may have (felt intuitively) to sit back on for a while. Some of you will have felt this ‘pause’ energy since last October, as for many, the last 5-6 months has been a time of review, of clear-out and of sudden surprises. In March, for most of us though, momentum is going to take the form of positive, forward momentum around things that you are currently building and wanting to create in your life, or new surprises that will appear to lighten and brighten up your current version of reality. 2019 is a year of elevation, after all. But equally, there can be a shadow side with momentum which can raise to the surface all the areas where you feel stuck, unclear or confused. So for a smaller percentage of us this month, there is going to be a shadow side - a questioning of, “Have I done the right thing? Why did I do what I’ve done? Is this really the path for me? I don’t know where to go now.” There will be an echo of that in about 20 percent of you reading this. But know that March (and the momentum of March) is going to continue to propel you forward, even if it takes until April for you to be really clear about where you’re going next. I bring this up because momentum is deeply uncomfortable when we aren’t sure where we are going and what we are doing - it’s really uncomfortable. It can bring up all kinds of feelings in your body, such as sadness or emotion - and yet, this letting go of control is part of the journey. We are here to move, we are here to RELEASE and release is another of the aspects of the energy of March. So for those of you who aren’t feeling positive momentum, or aren’t really sure of what you’re doing or where you’re going, then release will be what you will lean into. And you will release until you feel ready to step forward again. As ever, when you are releasing stuff and/or going through big, powerful and difficult times - you have to self-support. You have to treat yourself with love, kindness and understanding, much the way that you would treat a patient in hospital recovering from an operation. So remember to give yourself more nurturing support and space in your life to breathe through the release that wants to come up and out. This is important because when you’re moving through inner emotional or energetic aspects - they’re not visible to other people. But they are to you, so you have to take care of yourself while that process is happening. You need to build in time or moments of peace for yourself so that you can survive riding the waves of what you’re going through. Especially as these are times of Momentum! Many of you are clearer about what you want next, more than ever before, but some have gone through a 6 month arc of uncertainty (since last October) which can feel frustrating. Know that an energy of Clarity is coming big time in March. Those of you who recognise the feelings of discomfort or confusion and have been feeling them for months, this is the month where things break and burst and pop open. So you will be able to see why things have been happening for you, and how and what you’re going to do next. Clarity is going to be quite blinding in March. That can mean everything from human perspective clarity, so - the parts of us that go, “Oh - now I understand why that thing happened with my friend and I see what it did for both of us. But now I have clarity and I have some release from any of the discomfort that came up through that.” But equally, it can mean psychic and intuitive clarity. So this is going to be a very good month for visioning. For those of you who are really feeling you’re on your path right now and there is a flow and a momentum, the month may be a little bit stop-start around human action but in the ‘stop’ moments, visioning energy will be high. Some people are going to have a gliding month of momentum where so much can fall into place. But others are going to be a little stop-start because this clarity still hasn’t arrived. When we have Clarity about things, it’s our whole being that has clarity. We often think of clarity as a mental energy but it really isn’t. Clarity leads to openness, it leads to surrender, it leads to peace. It’s like, “Oh, I’m clear that what’s happening now is just what’s meant to be happening. My mind might want to tell me a different story but actually, I have the clarity that this is exactly where I’m meant to be and what is happening.” And that is a really high state of consciousness that we can reach, live in and stay in. But often we only have moments of it, periods of it, chapters of it, until we reach that place where we can live and stay in that state more of the time. So just note that clarity is really our friend but it can also be quite an emotionally intense process when it’s happening. For many of you, there’s going to be a feeling this month that your eyes are opening really wide and you may not always be sure you like it. Many of you may relate to those times in life where you think, “Life was easier before awakening!” That isn’t necessarily true, but it can often be the feeling we experience because when we have that clarity, that emotional release, it can sometimes be a little uncomfortable in the body until we move through it and get used to the new way of being. So clarity can feel wonderful but equally, it can challenge our habits, our comfort zone and our identities too. Which leads me to the Release energy of March. When we have MOMENTUM, when we have CLARITY, we always have RELEASE. This is part of the journey of change and evolution. And usually, to get momentum and clarity, there is some kind of release that happens. It might be the release of a thing, a place, a person, a desire or a dream that you had. But often, it can be more abstract than that; just energy or emotion, especially for sensitives. One of the things about release is it’s really just CHANGE. Release means change, evolution, growth. We are shedding parts of us that we are no longer aligned with, or parts of our lives that are no longer true for us. When we release, we change. And this is really important to understand. The Zs have said for years that we are greatly affected by one another in a way that we have no real comprehension of. So even people who you might think are supremely narcissistic, self-centred and egocentric are deeply affected by everyone around them, either because their needs aren’t being met or because what they want is being held up. Everybody on the planet in a human body is being deeply affected by everybody else. So the release we each feel is a collective energy too. And for the sensitive and empathic amongst you - with this much change happening at a mass level - it’s important to know your own consciousness and stay stable in your own new identity, as much as noticing the shifts in others around you. Because sensitive, empathic people can tend to get lost in the wants, needs and desires of others and forget themselves. This is very important for this part of the soul journey because empaths and sensitives have great gifts to bring into their life and the lives of others. But if you only or mostly get waylaid by the needs, desires and wants of others, then you don’t get to drive your own soul experience too. This lesson I mention here is going to be something being experienced and learnt by a lot of people right now. If you had an emotional response to these last few sentences - you are right in the release of responsibility to others before responsibility to self. They have to go hand in hand. You have to be responsible for yourself in order to also be responsible for others. It’s a huge shift, it’s a game-changer and it’s happening right now. Big love everyone and I hope this Energy Update brings some light, clarity, momentum or release to your March 2019.